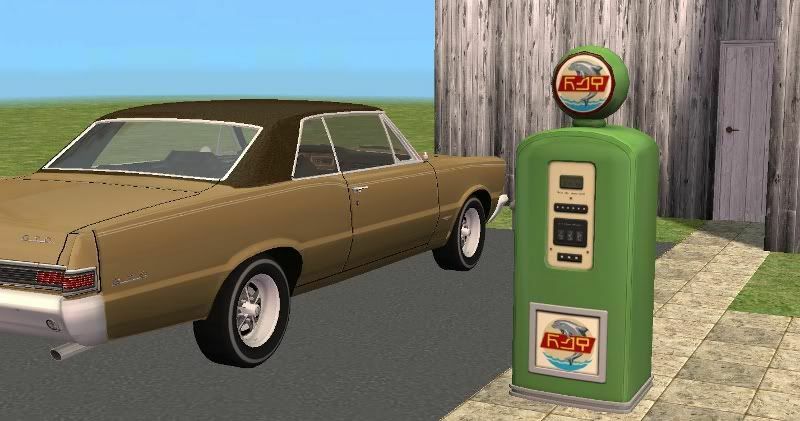 This is The Sims 3 Fast Lane Stuff gas pump for The Sims 2. it's found in decorative/sculptures, price is 400. I got the car on modthesims it's by Fresh Prince, not sure where I got the wall and floor, but the door was made by me (on my old site that was hacked) I might re-upload since I still have the set, if a lot of people want that recolor. Anyway, enjoy! I must have updated without letting it be known publicly. Thanks anon.